Lexus drew back the curtain of the newly redesigned ES sedan back in April. Now, four months later, the first 2019 ES models are rolling out of the factory in Georgetown, Kentucky. The new ES 350 sedan will make its way to dealerships shortly. 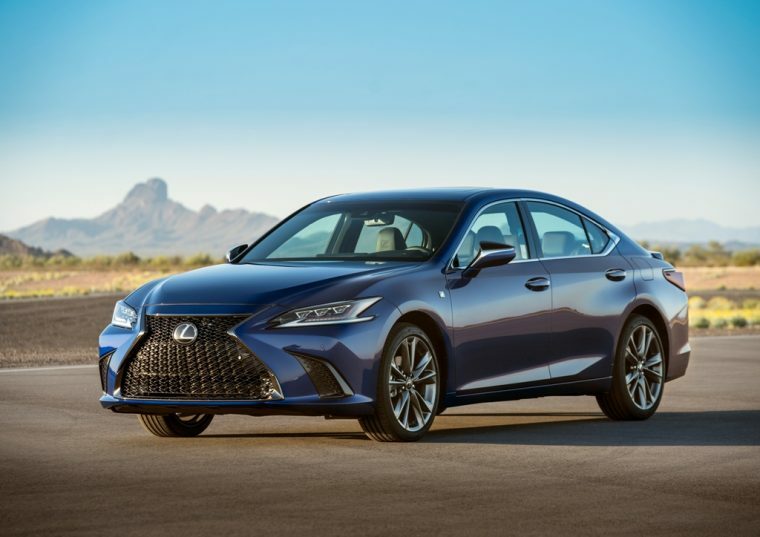 The 2019 ES is one of the first Lexus vehicles to use the brand’s newest platform, the Lexus Global Architecture platform. This means that the 2019 model could be longer, lower, and wider than before. In announcing the new ES production launch, Lexus stressed the brand’s commitment to craftsmanship. Particularly, it pointed out the special training that the employees at Georgetown underwent, which totaled more than 150,000 hours. This included sensory training. “After extensive sensory training, our team members rely on sight, sound and touch to know that the craftsmanship of the car is of the highest standard,” explained Lexus assistant general manager Mike Bridge. “A machine can’t make those judgments, and that’s why we take so much time to train before a new model goes into production.” Part of this sensory training included teaching team members in the body weld team to feel gap differences as small as 0.3 millimeters. Bridge pointed out that this is equal to the thickness of three sheets of paper, but can be felt by human hands, even with gloves on. The Georgetown facility was already the home of ES production. Now, in addition to the 2019 ES 350, it will produce the all-new F SPORT version of the sedan. The 2019 ES 350 will arrive in dealerships in September, with ES 350 models starting at an MSRP of $39,500 and F SPORT models starting at an MSRP of $44,035.